I’m always on the lookout for new projects to start and abandon. I can’t help it, I’m just really passionate about half knitted scarves! Unfinished crafts are my life’s work. Every once in a while, I screw up, and one gets done. 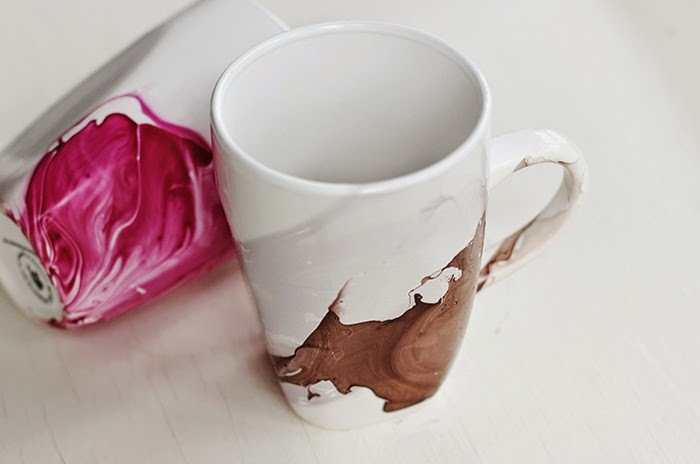 Like these DIY watercolor mugs I found from Poppytalk. Gorgeous, right? I had the idea to put that lovely splash of color on a white ceramic pot as a birthday gift for a green thumbed friend! In my mind, she opens the box, pulls out the pot, and gets a tear in her eye from my beautiful, and very expensive looking, gift that was made all the more special by the fact that I did it with my own little hands. It was a very, very good plan. Would the owner of this one of a kind piece of functional artwork please raise her hand? Ok. I never sent it. I have a good reason though! It came out, umm, not so good. She would have cried a little tear, but not from being overwhelmed by beauty and friendship. This was extremely perplexing because my trial run came out pretty nice! Before I did the pot, I tried the process on a mug. It’s cool! I would have been happy if the pot had come out like this! I’m really sad it didn’t. I kind of feel like I know what I did wrong though, and I want to try it again. I’ve got nail polish out the yang, and a lot of free time. Missy’s birthday might not be licked yet! I bet you’re waiting to see the fucked up pot. Well, too bad. It’s too crusty looking, and it would bring great shame to our household. I’ll show it off when I get it right! Fingers crossed! 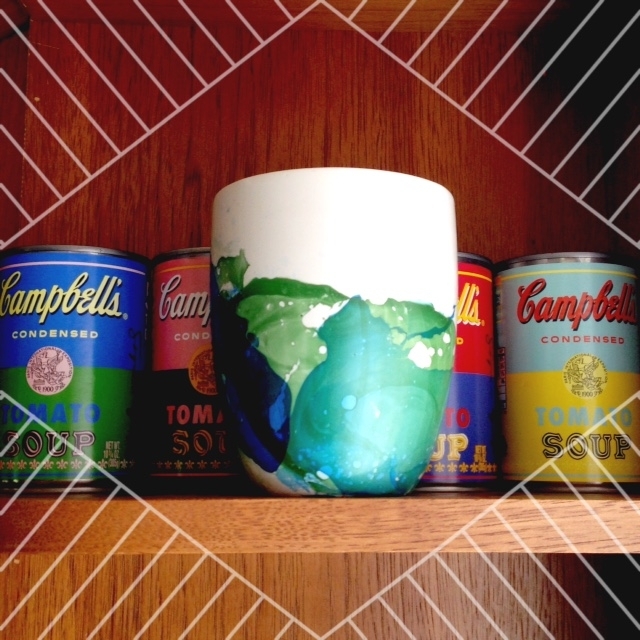 See Poppytalk’s Watercolor Mug tutorial HERE. → Melt’s Dark Room Returns!